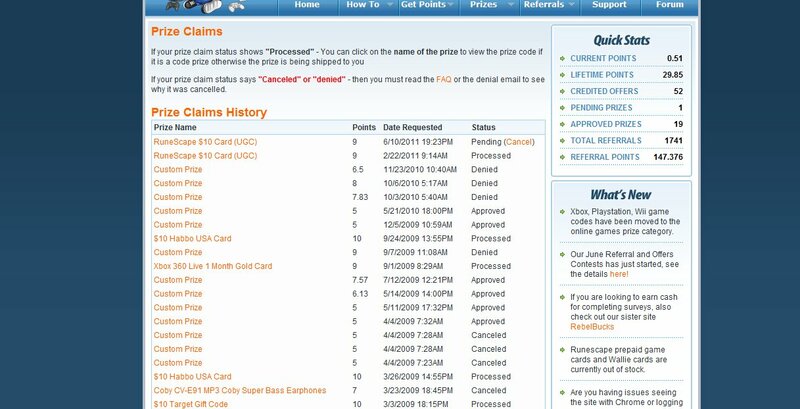 So, many people have heard of Prizerebel, a site which allows you to accumulate points and spend them on prizes. Most people wonder whether it is legit or not, and whether it really is that easy. Well I can tell you that is is 100% legit, but not as easy to get points as people say. Now don’t let that put you off, because it can be easy, when you know how to get points. The point of this post is to prove to you it can be easy to gain points, but only when you know how. First off, the best pay to get your first few points is by completing surveys. 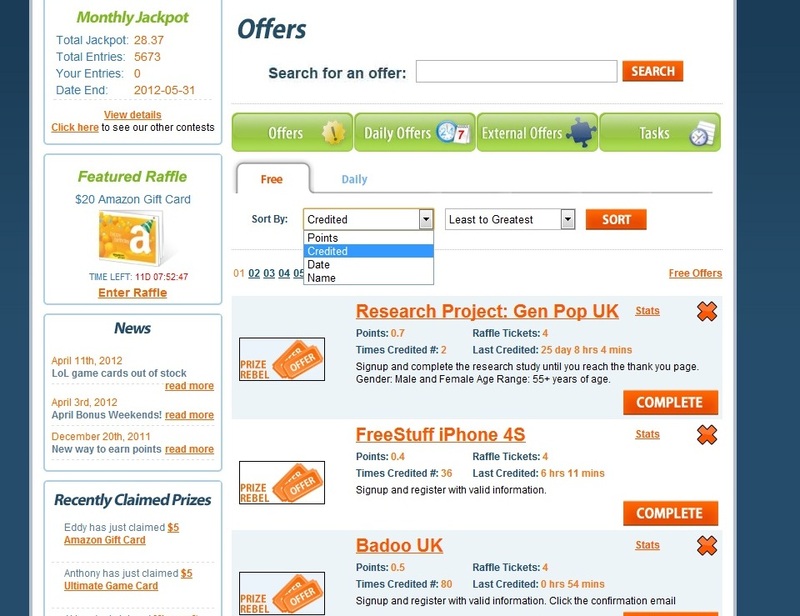 When you click on the [Get Points] drop down menu, select [Available Offers] and it will take you to the offers page. 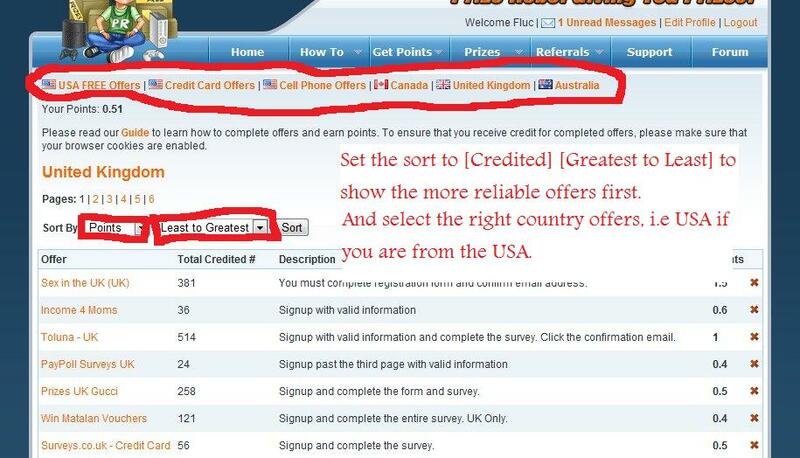 If it is not set to your country, then select your country from the list (As shown in the picture below). Always clear your cookies before doing an offer, and make sure to use fake details but a REAL email address (Create a spam hotmail or gmail email for it). Some offers require you to respond to an email, usually to activate your account. I would NOT suggest putting your own name, address or phone number, unless you want spam mail or unwanted calls. Always read the description of the offer so that you know what you have to do to ensure you get the points. Another way of getting is points is through referrals (The best way, but not the easiest). I will provide a tactics guide on getting referrals in my next post. Check out my youtube video (Click here), it provides proof that it IS LEGIT! I can 100% Guarantee you it is. I have already received two runescape codes, and this picture will show you.